Prime Minister Joseph Muscat today urged the Turkish government to respond with restraint to Friday’s attempted military coup. Speaking during a short telephone interview, Dr Muscat said the attempted coup should not be used as an excuse for an authoritarian crackdown on dissenters and civil society. 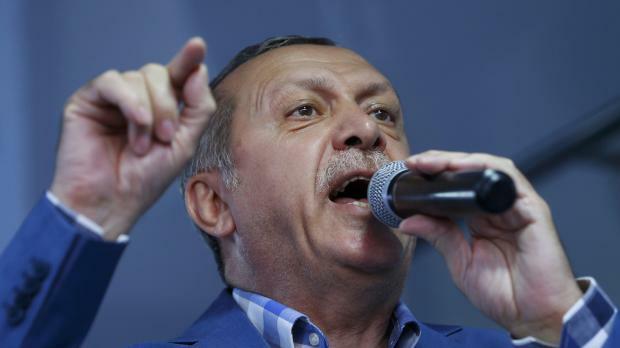 The Turkish authorities have rounded up nearly 3,000 suspected military plotters and ordered thousands of judges detained after thwarting a coup by rebels using tanks and attack helicopters to try to topple President Tayyip Erdogan. Dr Muscat said Malta’s position on the attempted coup was clear, as it is never acceptable to try and topple a democratically elected government. On the reform to the Lands Department, Dr Muscat said the new authority will be autonomous and have its own auditor scrutinising it. The prime minister said the reform should have taken place many years ago and it was his government that decided to act. The reform was started by former parliamentary secretary for planning Michael Falzon and continued by his predecessor Deborah Schembri. Dr Falzon resigned earlier this year after the Auditor General found there was collusion between himself, the Land Department and property speculator Mark Gaffarena. Mr Gaffarena acquired €3.4 million in land and cash from the government for the expropriation of half a building in Valletta valued at some €900,000. Dr Falzon has since gone on a tirade against the Auditor General’s office, claiming that the report which led to his resignation was politically motivated. Prime Minister Muscat insisted that the new reforms will address shortcomings in the Lands Department that have been there for ages. He hit out at Opposition leader Simon Busuttil for failing to take action against MP Chris Said who was criticised in a report by the Auditor General this month. The Auditor General found evidence of “unwarranted” intervention by Dr Said in the allocation of funds for works by local councils when he was the parliamentary secretary in charge of them. Dr Muscat pointed out that Dr Busuttil had kicked up a fuss in the past when the Auditor General criticised his political opponents, yet he remained silent in Dr Said’s case. The Prime Minister said Dr Busuttil only believed the Auditor General when it was convenient to him. This attitude is symptomatic of an elitist politician who is part of the establishment, Dr Muscat said. When it comes to standards, the Opposition leader is all talk and no action, Dr Muscat said. In a reply, the Nationalist Party said that the Prime Minister's hard-headedness in refusing to tackle scandals related to the Panama Papers leaks, Cafe Premier and Gaffarena expropriation deal meant that he could not be taken seriously when talking about standards.